The Jazz and Blues Club Ungelt is located in the 1000 year old Romanesque vault. The Ungelt courtyard was founded in the 11th century. Its name is derived from the very purpose of the building - every foreign merchant coming to Prague had to pay a fee to the royal treasury, i. e. ungelt. The court was also called the "Hilarious Court" by the locals for merchants used to hold noisy parties here. The court is right behind the Týn Church breathing the captivating atmosphere of Prague Old Town. 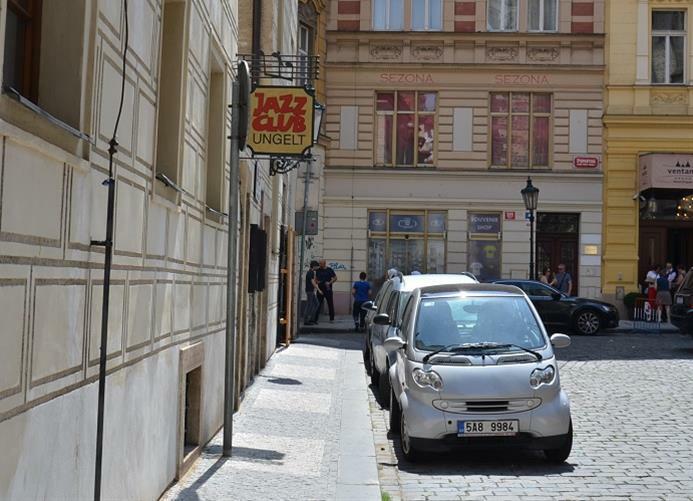 The club features top Prague jazz concerts, focusing mainly on jazz, blues, funk and fusion. Top Czech and foreign jazz bands with excellent soloists are on the program every night. You can stay until 1 am enjoying the illuminated Týn Church and the Clock Tower on Old Town Square on your way back. There is a good a la carte restaurant in the club and you can enjoy your meal directly in the music room, all the time during the production. Le lieu est sympathique , malgré les travaux qui avaient lieu devant l'établissement au moment où nous étions à Prague ! Ils ont du souffrir de cela ! a hot evening spent with a blues/rock band composed of excellent musicians who alternates classic blues songs and pure rock'n roll music - solos and duets of guitars were fantastics ! Easy to find, the underground concert area gave great atmosphere. The crew played very good music. le Jazz et Blues Club Ungelt est un endroit atypique, la salle de concert se trouvant dans une ancienne cave . Lieu très intimiste, avec l' impréssion d'assister à un concert "privé". bref un club bien sympa!